Finally caved and got an MG1! This comment was posted to reddit on Dec 25, 2017 at 3:14 am and was deleted within 9 hour(s) and 26 minutes. Oh the MG1 is definitely not really a Moog. That's what I mean by completely different. It has it's own tricks up it's sleeve and has its own sound. 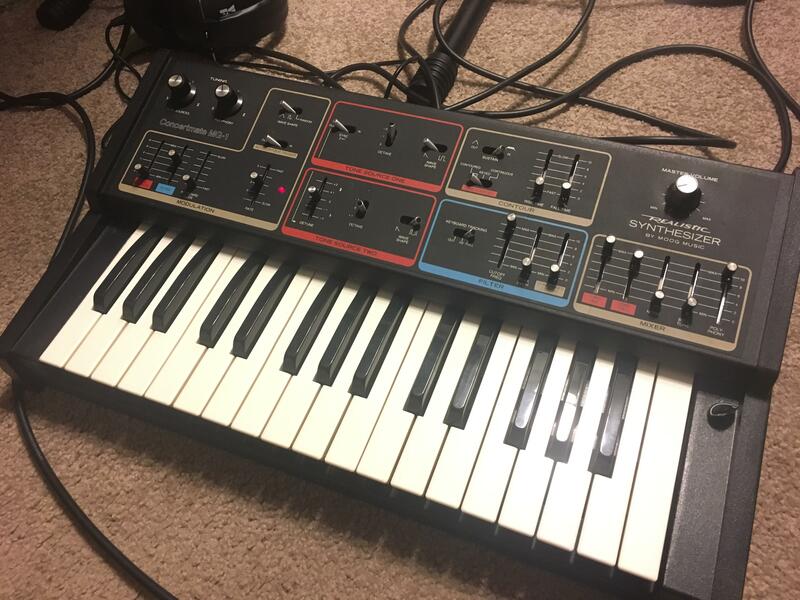 I wouldn't be looking at a MG-1 if I was searching for the classic Moog sound. It is it's own thing. Theres a lot you can do with that organ mode. You can use it as a third oscillator to beef up mono sounds. Or set the tunings differently for the polyphonic section and the 2 VCO's to make chords. Like a sort of faux chord memory except the notes do weird fun stuff then when you actually play chords. Or when you send the synth CV it only effects the two VCOs leaving the polyphonic section open to be played by hand which produces some interesting results.